A recent letter to the editor in our local daily caused some stir in our community. The letter writer, among other things, commented on our “lifted pickups” in a way that could only be read as derogatory, and I found it a bit intriguing as when I thought about it as I could not find one offensive thing about big pickup trucks. I actually poked myself on this one for awhile. 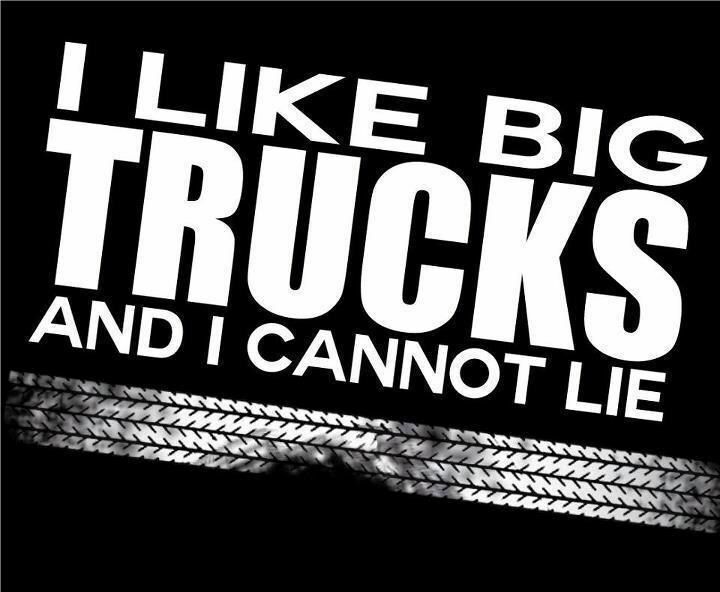 Did I feel embarrassed by my neighbour’s rather large and lifted truck? No. Was I apologetic for the big trucks I see around town on a daily basis? Not at all. Did I actually see the lifted pickup truck, which some from outside our community seem to think symbolizes what is “wrong with us" as wrong at all? Not even slightly. In fact, I found myself feeling rather proud. You see I am a firm believer that everyone has a “thing”, something of which they are inordinately fond. For me, it is shoes as I have a few dozen (*ahem – number may not be accurate) pairs and I love knowing about different shoe brands, different shoe types and even the art and history of shoe making. When others question my interest I ask them what their “thing” is, and after some thought they usually identify something – detective novels or Royal Doulton figurines, decorative teacups or original art – that is “their thing”. And so, particularly in a community with a young demographic and an oil-focused economy, it seems natural for one of our “things” to be our vehicles, particularly big lifted trucks or tricked out cars and motorbikes. When grown men and women get together to discuss their trucks and compare them, one can almost see them revert back to the little ones they once were, with their Matchbox cars slamming into each other and shouting “vroom vroom” at the top of their lungs. It is one of the most charming things I have ever witnessed, to be honest, as it takes us back to a time in our lives when things were as simple as whether we preferred the shiny red truck or the metallic blue. I find myself genuinely puzzled as to why we are supposed to apparently feel embarrassed by this. Do Torontonians feel ashamed of their BMWs and Lexus? Do farmers feel embarrassed of their excessively large combines? (and in case you think these are purely utilitarian you have never spent time with farmers arguing over the virtues of Deere vs. Case) Let’s be honest: we have a fondness for things that are big and fast, even those of us who do not own a big lifted pickup. My own vehicle, my Ford Explorer which I have named Amelia, may not be a lifted truck but I am quite proud of her regardless and we have already had many adventures together. Frankly I think the concept that we should in any way be ashamed or embarrassed about our big lifted trucks is absurd. If the stereotype is that Fort McMurray is filled with huge vehicles with lift kits, then we should own the truck out of it. Reclaim the truck pride, Fort McMurray. We live in a region where trucks not only make sense (ever been stuck in the snow in a little car in an unplowed parking lot? Cuz I have) but where our love and pride can freely shine because there is absolutely nothing wrong with the lifted pickup truck – and anyone who thinks differently can promptly go truck themselves. PS. If you really want to celebrate big truck culture I highly recommend Monster X Tour presented by BURNCO taking place at Shell Place this weekend (Friday evening and Saturday matinee). Disclaimer: yes, I work there and yes I have worked with the Monster X Tour on these shows – and they are completely wonderful individuals who love what they do. I may not OWN a big truck, but the truth may well be that I am a big truck girl at heart – and damn proud of it, too.